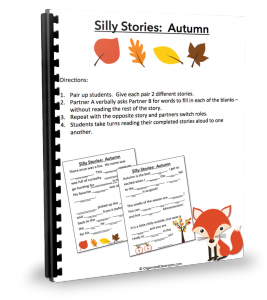 Classroom Freebies Too: Fall Silly Stories Freebie! If you loved doing MadLibs as a child, you will love this set of 2 fall-themed silly story worksheets! A set of two worksheets that will help students practice their reading and be creative in the classroom. Want FREE copies of these fall-themed silly story worksheets?